The Chancellor, George Osborne, today presented his Autumn Statement, which outlined the state of the economy and spending plans for the next four years in the Spending Review. The pension announcements in this year’s Autumn Statement mainly centre around the state pension, with little change to personal and occupational pensions, which we have listed below. Those in receipt of Pension Credits will have them suspended if they are out of the country for more than one month. The Basic State Pension will increase by £3.35 to £119.30 per week in April 2016. Auto Enrolment contribution increases to 5% and 8% will be aligned to tax years, resulting in a delay of 6 months for each increase which will now start in April 2018. The new ‘single tier’ state pension will be set at £155.65. 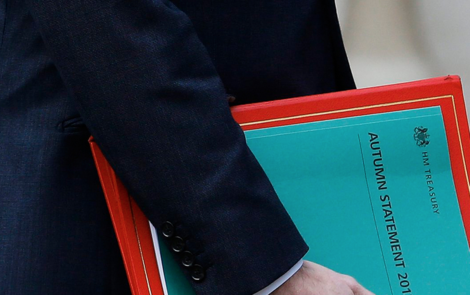 Response to the consultation on Pensions Tax Relief will published in the Budget 2016. There is a commitment to change legislation in the Finance Bill 2016 to ensure that where funds are designated to drawdown but not drawn before death that an IHT will not apply, this will be backdated to deaths that have occurred since 2011. The government will remove the barriers to creating a secondary market for annuities, allowing individuals to sell their annuity income stream. Consultation response due in December with legislation in Finance Bill 2017. If you would like to speak to one of our Pension experts about how today’s announcement could affect you, we would be delighted to help. Full details of George Osborne’s speech can be read here.